Moving all that air and delivering powerful bass, the PVXp DSP series has a high 128 dB SPL with a rugged yet compact 50 oz. magnet paired with a 2 3/8" voice coil teamed with the Peavey RX 14 driver housing a 1.4" titanium diaphragm. The asymmetrical horn keeps the sound focused towards the audience using Peavey’s exclusive Quadratic Throat Waveguide Technology that aims coverage to an effective 100° by 50° radius (15° upwards and 35° downwards). At the heart of the PVXp DSP series is the forward-thinking design of the ADSP with adjustable EQ. Combined with a XLR + 1/4" TRS combo input socket, a built-in mic pre-amp, and a ground lift, operation is designed to be as simple as possible. EQ presets that include Music, EDM, Rock/Country/Hip-Hop, Acoustic, Voice, Church, and Monitor are easy to use and offer adjustable Treble and Bass to suit the environment as needed. Thru Output via male XLR and a separate 1/4" TRS jack are featured on the two models. To provide maximum performance and ultra-reliability, PVXp DSP speakers are fan-cooled. And, when portability is needed, the PVXp series can easily be placed into a boot or backseat. The PVXp 12 DSP measures 622.3 mm x 409 mm x 381 mm and weighs 19.5 kg, while the PVXp 15 DSP measures 717.6 mm x 480 mm x 475.2 mm and weighs 23.13 kg. 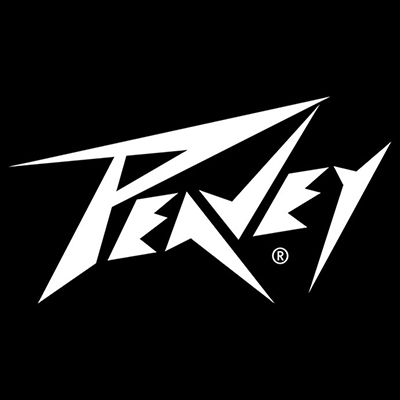 The Peavey designers have kept weight to a minimum by effectively using it where it matters. Both the PVXp 12 DSP and PVXp 15 DSP have rugged injection-molded plastic trapezoidal enclosures with sturdy flying point inserts on the top, bottom, and right side. A full-coverage, perforated steel grille with powdered finish adds to the ruggedness and protects these speakers. They also have settings specifically for wall, pole, or fly mount to optimize the sound based on mounting preference. Set to be offered at an affordable price, the PVXp Series will be available in the UK towards the end of the year.